Our Tadpoles room caters for children from birth to 2 years. Our nurturing educators work in partnership with families to ensure the children’s individual needs are met, continuing their routines from home. Each child has their own communication book, allowing families to provide us with daily information about the wellness and wellbeing of your child. We then provide you with details about your child’s day such as sleeping patterns, feeding/ eating and nappy changes. Our learning environment extends on children’s abilities, offering age appropriate challenges. 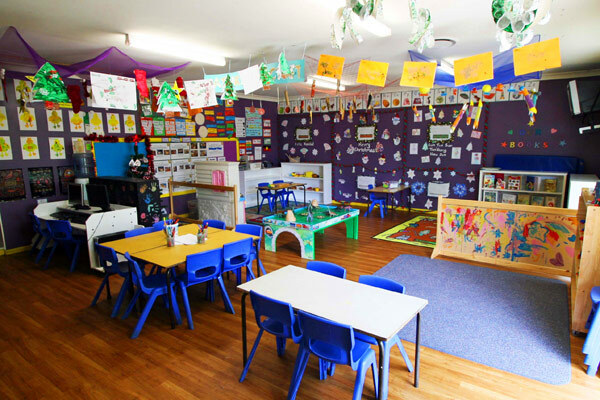 Our learning environment encourages all children to participate in creative expression, music and movement sessions. As families know their children best, we encourage you to have input into our emerging curriculum. 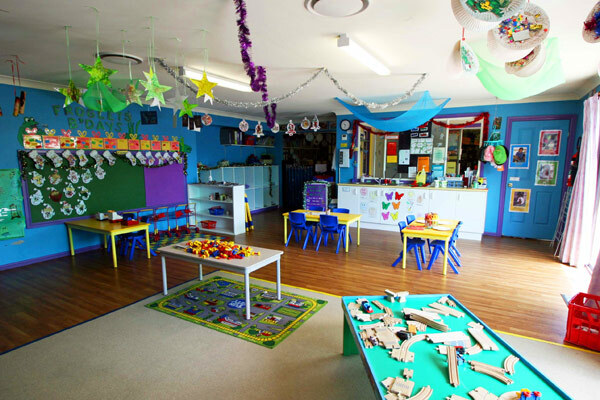 The Educators in the Tadpoles room spend as much time as possible engaged in play with the children, building secure attachments with them, and supporting their emotional and social wellbeing. The Froglets room children range from 2 -3.5 years. This room is very exciting and busy. Children start to experiment with self help skills and toilet training. Children in the Froglets room vary on a wide scale of developmental levels. Our room is extremely busy due to the ages and stages of the children. We pride ourselves on ensuring our room is appealing and interesting to satisfy and intrigue the inquisitive minds of our toddlers. We strive to ensure we cater to these individual developmental levels and provide children with a variety of engaging enjoyable experiences. Our room provides endless opportunities for the children to be curious, confident, creative and imaginative. 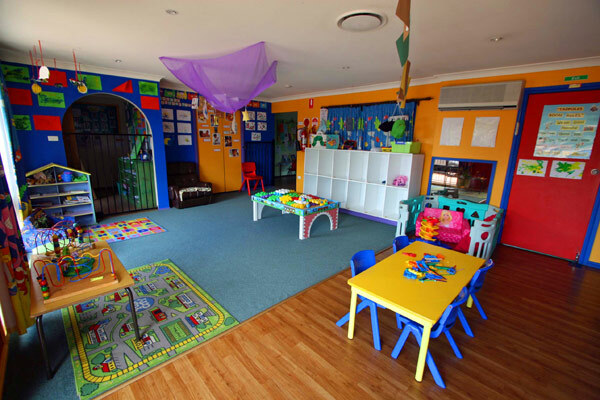 In the Frogs room we believe that the early years of a child are the most important. As educators we scaffold children’s learning through play and a wide range of experiences that set children up for lifelong learning. We believe that play is of utmost importance to children as a way of learning about the world around them. As children learn through play they are able to express their creative skills, be in touch with their emotions and share their feelings. Our school readiness program focuses on encouraging children to become confident and independent by expanding their social and emotional development. Our programs are planned according to children’s interest and provide learning experiences that incorporate literacy and numeracy as well as language, gross and fine motor and cognitive development. We work in partnership with families and the local school in our community to assist you and your child with a smooth transition to” big school”. Before school care is held at our centre where the children are able to join in with breakfast and our centre’s morning routine and activities. Our After school care is located in the library of our local Douglas Park Public School between 3-6 pm Monday to Friday. We are extremely lucky to be able to provide our school children with such a beautiful spacious environment to allow many more age appropriate learning experiences. 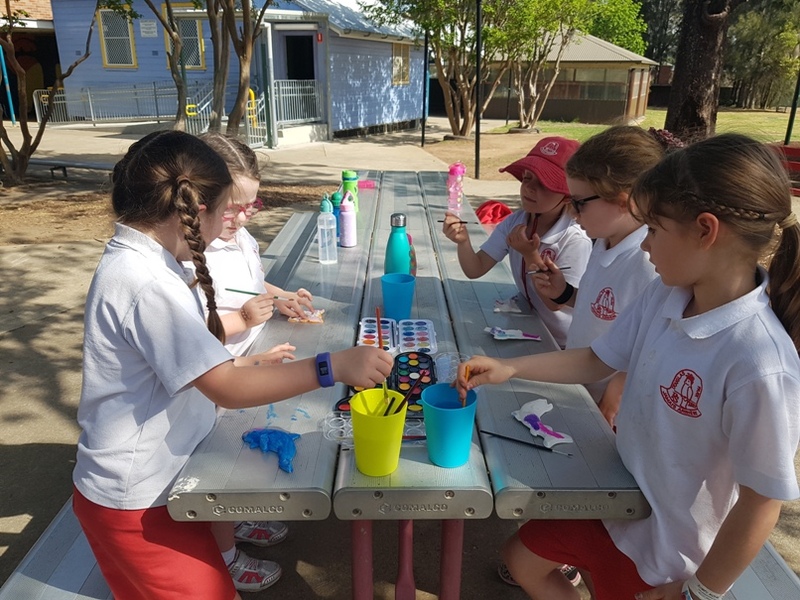 Our service is guided by the My Time Our Place framework for school aged care in Australia allowing and supporting a flexible, fun, positive and child focused experience. We provide a nutritious afternoon tea and are very welcoming to last minute casual bookings.